The Crooked Banana: First WiP Wednesday! It's Wednesday? Already?? How did that happen? Today is the official last day of classes. I'm already finished because you know, I'm cool like that, but it's still exciting! No more school! :D No more finals! No more textbooks! No more busy work! AHHHH! I am probably a little over excited considering I don't have a job yet, but whatever. Not having homework is enough to keep me happy for now... we'll see how I feel in a couple of months when I still have no job and my money has run out! It's very exciting! 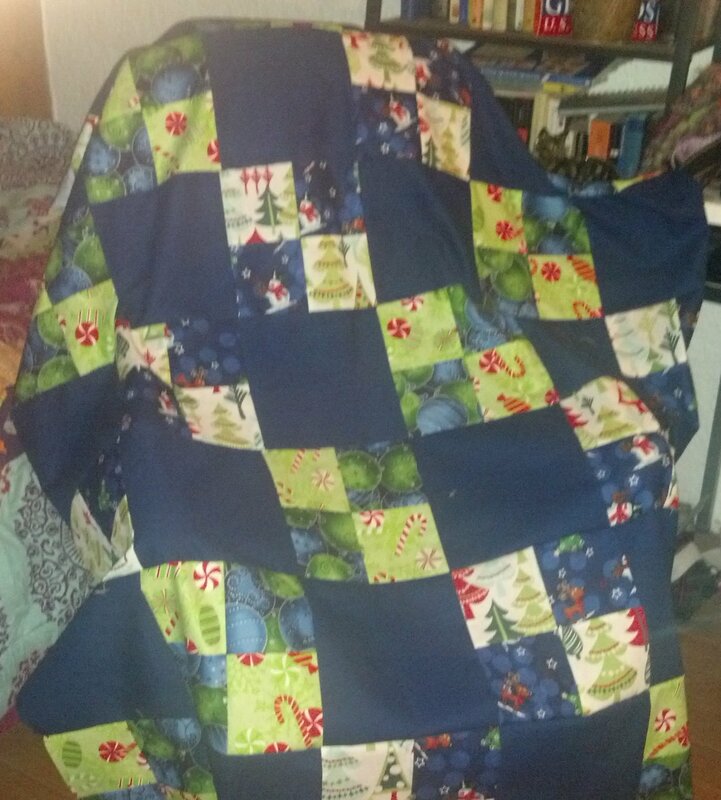 I have 2 quilts to quilt now :) This one is better than my first one, but still not perfect. Some of the corners just don't line up... which is entirely my fault. I was squaring up my blocks and got distracted. I had 2 piles going, one that had been squared and one that still needed to be. But when I came back, I thought the two piles were just the two different kinds of blocks and that I had finished them all! 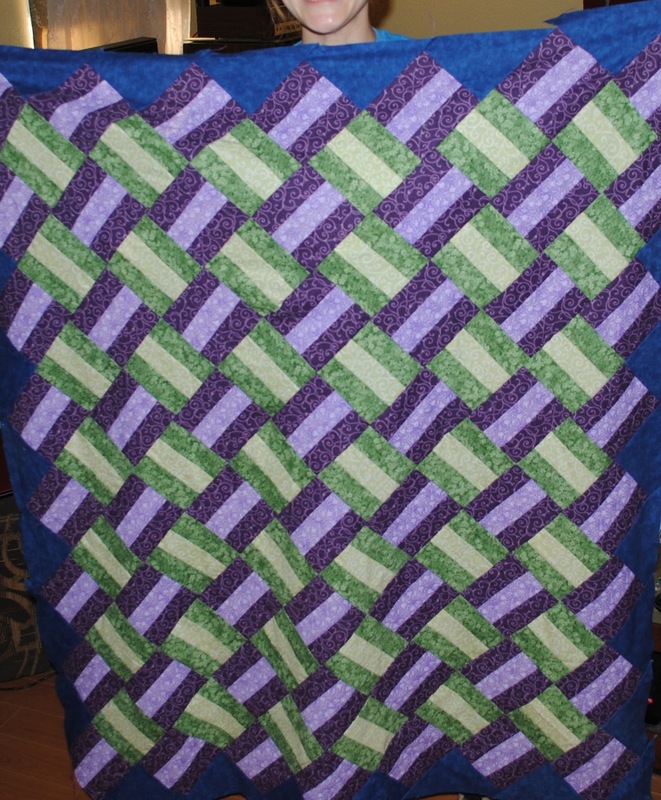 I didn't realize my mistake until halfway through the quilt top. 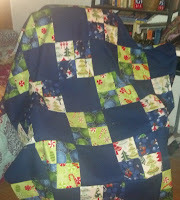 And there was NO WAY I was going to pick out all the seams and start over! I'm just not that patient. So, it's imperfect. But it is made with LOVE and that's really all that matters, right?! Just because I already have the backing and binding and batting ready to go. I still need a backing for the other one! That's all the news for now. I'll get some better photos as soon as I can :) And maybe by then I'll have some new projects to show off! I have a lot of ideas bouncing around in my head! Yes, made with love totally matters the most! 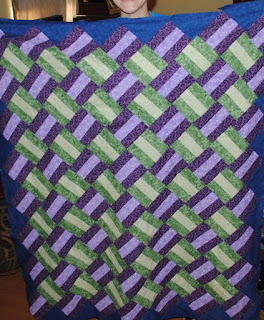 Hope you have a lot of fun quilting instead of doing homework.